Checks out what I has heres, Germans beers! And you knows whats is even coolers? 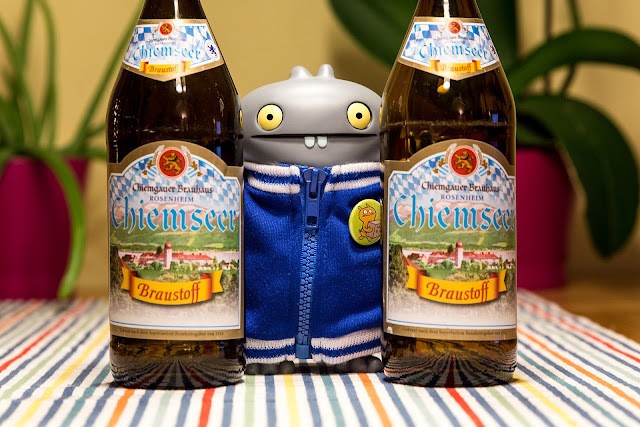 I is drinkerings them in Germanies, rockers on! When Baz wakereds me ups to says that he hads a mornings surpriser fors me, I hads no ideas that it woulds involvers me flyerings on nots one, nots two buts three biggers hairyplanes today! Okays, enoughs chatterboxing, times for me to goes and gets drunks to counteracters the jetterslags!